I have received this suggestion many, many times. 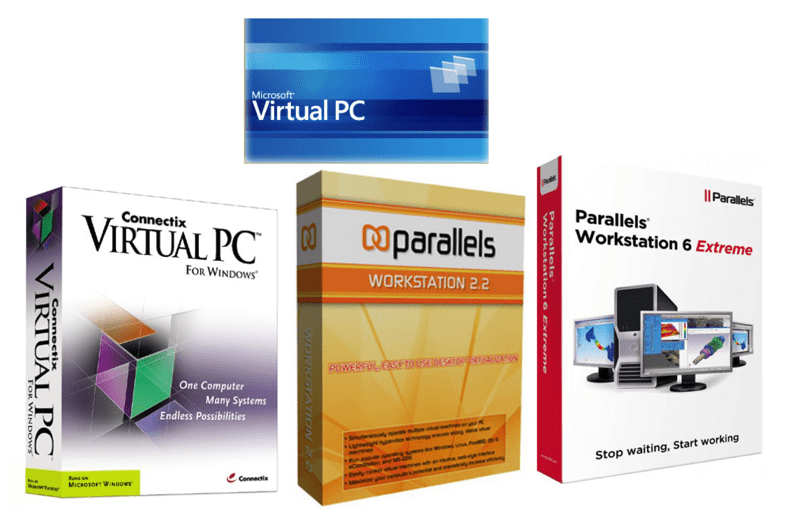 The long answer is I have been involved with three different efforts to create a virtualization product for Windows desktops: Connectix Virtual PC for Windows, Microsoft Virtual PC (also known as Windows Virtual PC), and Parallels Workstation for Windows (also known as Parallels Workstation Extreme). See Figure 1. All of these products worked well and did exactly what you would expect a desktop virtualization app to do: run another operating system (OS) in a window on your computer. They all had the integration features you would expect: drag and drop from one OS to another, run applications in the virtualized OS, use the network connection of your computer to give the virtualized OS a network connection, and more. Undo Drives is an advanced feature of most desktop virtualization products. Turn on Undo Drives, and then do anything you want in the system. Install applications, add files, get a virus by visiting a dodgy website, delete a file, uninstall an application, change any system preferences you want—even over several days of use. Then push the “Undo” button, and it’s as if none of these things ever happened. The Undo Drives tool is even more powerful than Windows Restore Points because restore points can fail. Undo Drives never fail. Henry immediately saw how Undo Drives would be a great feature for any technology columnist. “I always worry when I install a beta of something on my system, and a few times that beta software has really messed up my system. Undo Drives would take that worry away completely.” Henry installed and used Connectix Virtual PC for Windows and wrote a very favorable review of the product. However, these fans did not translate into significant sales for Connectix Virtual PC for Windows, Microsoft Virtual PC, and Parallels Workstation for Windows. Eventually, these products were all cancelled. OK, I left myself open on that one.